The development of new hypotheses can promote the explanation of mechanisms on plant invasion across different scales. We tested the hypothesis that ecoregional vulnerability can affect habitat suitability of invasive alien plants (IAPs) in non-native ranges. 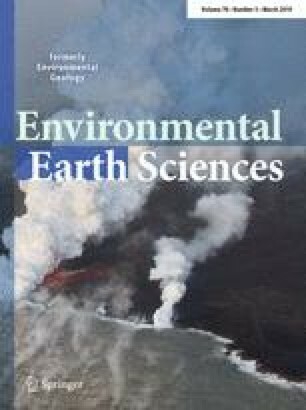 We used 13 IAPs, distributed around the world, and identified vulnerable ecoregions belonging to different biomes and biogeographical realms. Then, Maxent modeling was used to assess the habitat suitability of IAPs. We quantified the effects of ecoregional vulnerability on habitat suitability of IAPs as effect sizes using the log response ratio of habitat suitability. Ecoregional vulnerability had significant effects on habitat suitability for IAPs in invasive ranges across different biomes and biogeographical realms. Such effects may depend on the biomes and biogeographical realms of interest. Ecoregional vulnerability had positive effects on the habitat suitability of Chromolaena odorata, Clidemia hirta, Imperata cylindrica, Melaleuca quinquenervia, Mikania micrantha, Prosopis glandulosa, Rubus ellipticus, and Tamarix ramosissima. Vulnerable ecoregions of tropical and subtropical moist broadleaf forests and temperate broadleaf and mixed forests could result in large distributions and the highest habitat suitability of IAPs. The vulnerable ecoregions were mainly distributed in the biogeographical realms of Australasia, Nearctic, Neotropics, and Oceania. We tested a new hypothesis on disturbances and biological diversity based on ecoregional vulnerability over large scales. Our findings support the hypothesis that ecoregional vulnerability can increase habitat suitability of IAPs, promoting IAPs to expand in invasive ranges. Our study provides insight into the development of new hypotheses on the mechanisms of plant invasion over large scales. The online version of this article ( https://doi.org/10.1007/s12665-019-8186-3) contains supplementary material, which is available to authorized users. A correction to this article is available online at https://doi.org/10.1007/s12665-019-8252-x. This work has been supported by the National Natural Science Foundation of China (NSFC) (Nos. 31800449 and 31800464) and the Basic Research Project of Qinghai Province, China (Nos. 2019-ZJ-936Q and 2019-ZJ-960Q).